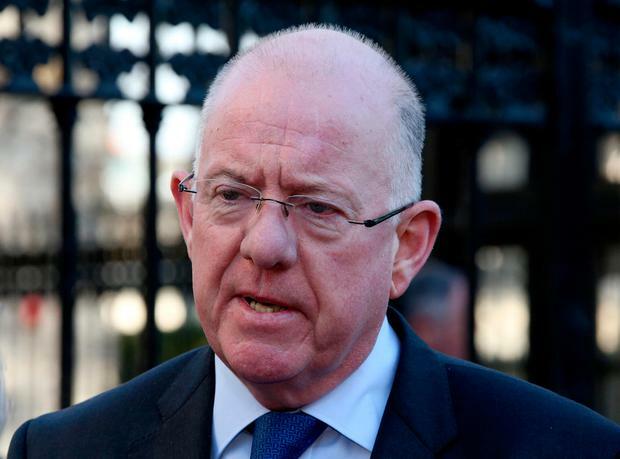 Foreign Affairs Minister Charlie Flanagan paid tribute to the victims of the London attack, saying: "Terror and violence will never triumph over democracy." "I unreservedly condemn the attack outside the Houses of Parliament at Westminster. I deplore the loss of life, and note that the casualties include a police officer killed in the line of duty," he said. "I wish to extend my condolences and on behalf of my Government, my support to the people of London and the UK. Terror and violence will never triumph over democracy. "The Irish Embassy and my department have been active in London, and at this time we have no reason to believe that any Irish citizens have been affected or are persons over whom there are concerns." Fianna Fáil spokesperson on foreign affairs Darragh O'Brien TD also offered his sympathies. "I condemn this appalling attack in the strongest possible terms. These acts of violence are intended as an attack on democratic values and must be resisted and rejected on that basis," he said. "Exactly 12 months to the day since 35 people were killed in the Brussels airport attacks, today's events are a terrible reminder of how very real the challenge is to protect citizens while respecting human rights and protecting basic freedoms." An Oireachtas spokesperson last night refused to comment on whether or not additional security measures have been put in place at Leinster House in light of the attack in London. It is understood that Oireachtas authorities are satisfied with security arrangements and that they regularly liaise with gardaí and the Army on the matter. Anyone concerned about family members in London should contact the Department of Foreign Affairs on 01 408 2000, or the Embassy in London on 0044 207 235 2171.